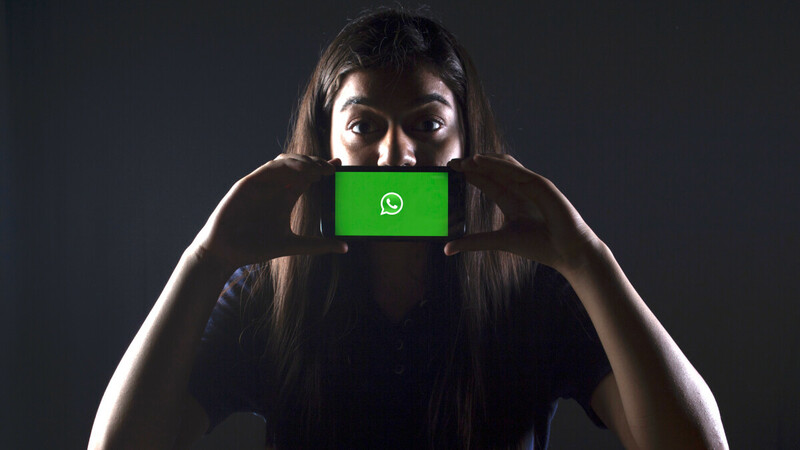 Earlier this month we reported how WhatsApp is resorting to unusual methods to teach India's increasingly internet-connected population about fake news and how people can help to reduce its impact. Well, now WhatsApp decided to make changes to the app that will make it harder for users to quickly share messages to multiple groups. Until now, users could share a message to any number of groups they saw fit, but after the change, sharing will be limited to a maximum of 20 groups for users worldwide. For India, where the problem with misinformation is at its worse, that limit is only 5. Another restriction only for users is India is the removal of the "quick forward" function. WhatsApp is calling these changes "a test" and will be monitoring the effect they have to decide if they will become permanent. It's likely that there will be even more changes in the future, if this batch is insufficient. The reason India is targeted separately is that in recent months, news articles, containing false information, have been spreading through social media and WhatsApp in particular. While that happens everywhere, in India there have been cases in which people, misled by what they've read online, took matters into their own hands and imposed "justice", leading to multiple deaths. Obviously, the measures won't prevent people from sharing fake news altogether, but the effect might be enough to prevent a critical mass of people being angry at something at the same time. We find WhatsApp efforts on this matter admirable, considering the company could have just ignored the problem altogether, since it only provides the means for people to send messages. Changing the app because of what happened in India? - so stupid! Stupid?! Well, you must be very stupid to know that. It's already active on beta as of this morning. I don't know about sharing to groups but it's limited to 20 individuals on mine. So what happend in India? I know they are more gullible than avg. This is why I don't use Facebook services......censorship at its finest. Fake news should be CENSORED everywhere and if you say otherwise then you're d*mb af sweetie. Absolute nonsense. If you're dumb enough to believe everything you read or hear without cross checking then it's people like you who are the problem. The mainstream media is very much regulated and you would know that if you'd ever heard of libel laws or the fcc. Stop listening to that moron Trump and Fox News. THAT is where fake news comes from. If this could help save some live, great! What exactly do you need to share to 20 groups, by the way? Are you a town crier of some sort? I personally find most Indians ingenuous and naive. They can easily fall prey to false rumors related to caste and creed; two very sensitive topics in the highly conservative nationalistic society. If there's a place where one can get lynched for consuming something as minor and harmless as 'beef' or perhaps for giving poor children some sweets and candies then you better believe there's something WRONG with that place and that society. This I absolutely agree with. I am from Nigeria, so I know! Religion and traditions make people go haywire. You seem like jobless to spend your entire time reading about other country. You don't know enough about India and the things you know are part of Western Racist media propaganda aginst native Indians. Cow slaughter for that matter is banned in almost 24 states out of 30. Still illegal cattle smuggling is run by syndicates to prove other community. Fact is far more people and Police officials are killed curbing this illegal cartel. India has fought wars for thosands of years for protection of Cow from invaders. Cow protection was a symbol of resistance against invading forces and still remains a sensitive issue to Indian culture. For the record in other parts of world HUMANS can be beheaded for as little act of drawing Profit Moohmad.